mass spectra of some fragrant compounds makes identification difficult. 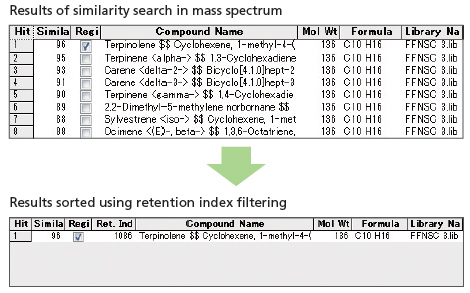 The FFNSC3 library contains retention indexes using three types of columns as well as mass spectra. 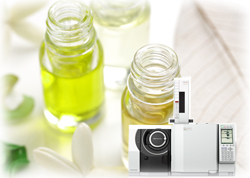 Shimadzu's GCMSsolution library search, utilizing the retention index, provides highly accurate identification results and makes it ideally suited for flavor and fragrance analysis. 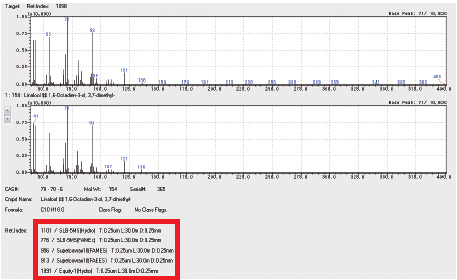 The mass spectra in the FFNSC library were obtained by the group led by Prof.
Mondello, University of Messina, Italy. The FFNSC library copyright is owned by Chromaleont S.r.l., a spin-off company of the University of Messina.